Description: Men's Short Sleeve Gingham Check. 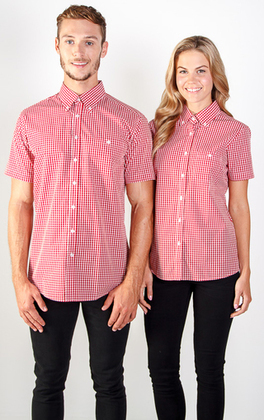 60% Cotton 40% polyester, Yarn dyed gingham check, Button down collar, Pearl buttons. Modern fit. Single pocket with button.